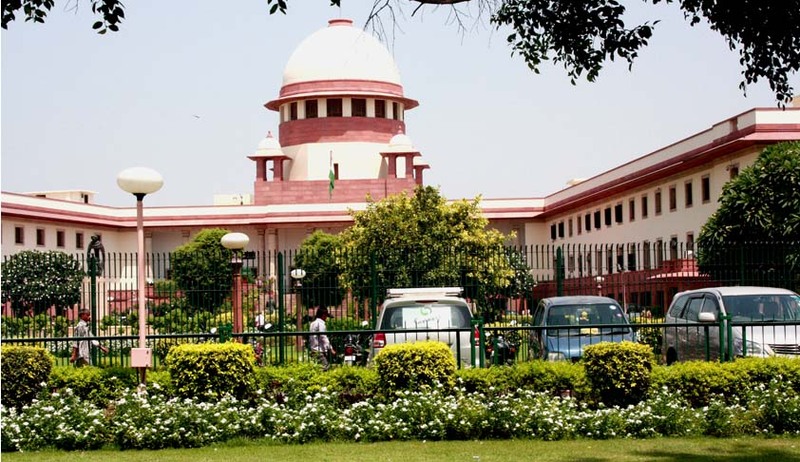 A PIL has been filed in the Supreme Court challenging the appointment of Mr. K.V. Chaudhary as the Central Vigilance Commissioner and Mr. T.M. Bhasin as the Vigilance Commissioner as being “illegal and arbitrary”. The PIL has been filed by the NGO, Common Cause; Admiral L. Ramdas- former Chief of Naval Staff; Dr. E.A.S. Sarma- former Secretary of Government of India; Mr. Ramaswamy R. Iyer- former Secretary, Government of India, Dr. B.P. Mathur, Former Deputy CAG and Shri S. Krishnan, former member, Department of Posts. The petitioners have claimed that there was complete non-transparency on the part of the Central Government in making the appointment of the CVC and VC. “There was no system followed and there was no scope for public inputs,” claim the petitioners who have further submitted that the representations, inputs and complaints made against the proposed appointments were not duly considered. In the CPIL case, the Apex Court had found and held that the recommendation of the selection committee to the President for appointment of the then CVC was non est in law. This was so held since the Court found that the appointment would dilute the integrity of the statutory institution of the Central Vigilance Commission. It was held that the test is whether the individual would be able to perform his duties. The Court further passed important directions to be followed for selection of the CVC. For the appointment of Chief Vigilance Officers (CVOs) in various departments/ministries who work under the supervisory and administrative control of the Central Vigilance Commission, the Commission requires that they must have “unblemished record” of service. “(iii) All the civil servants and other persons empanelled shall be outstanding civil servants or persons of impeccable integrity. (iv) The empanelment shall be carried out on the basis of rational criteria, which is to be reflected by recording of reasons and/or noting akin to reasons by the empanelling authority. (vi) The empanelling authority, while forwarding the names of empanelled officers/persons, shall enclose complete information, material and data of the officer/person concerned, whether favourable or adverse. Nothing relevant or material should be withheld from the Selection Committee. It will not only be useful but would also serve larger public interest and enhance public confidence if the contemporaneous service record and acts of outstanding performance of the officer under consideration, even with adverse remarks, are specifically brought to the notice of the Selection Committee. Mr. K.V. Chaudhary was appointed as the CVC on June 6, 2015 for a period of four years. Before his appointment as CVC, he was the Chairperson of CBDT and Advisor to the SIT on black money. The petition alleges that even before he was appointed as the CVC, several important representations were made to the Prime Minister of India (who heads the selection panel as per Section 4 of the 2003 Act) and others including Home Minister, Finance Minister and the leader of largest part in Opposition. The said representations gave specific reasons as to why Mr. K.V. Chaudhary is not eligible and suitable for heading this important integrity institution. However, despite that the Government went full steam ahead to appoint their favored candidate. It also brings to the Court’s notice that Mr. Chaudhary was directly under CBI’s scanner in the ‘Stockguru Scam’ where senior Income Tax officers were involved. A complaint was also made by Mr. Anil Agarwal to the Finance Ministry on 10.06.2014 as to how Mr. Chaudhary was being shielded in the Stock Guru scam. Mr. Chaudhary also allegedly abused his position as Member (Investigation) CBDT to under-assess the income of a company M/s Flora and Fauna Housing & Land Development Pvt. Ltd., which is associated with infamous Mr. Ponty Chadha, by an amount of Rs 234 crores. He followed a procedure allegedly unknown to law by giving a direction to the Assessing Officer to dispose of the case in this particular manner. It had been further alleged by the Petition that Mr. Chaudhary was investigating the Radia tapes and did not take any action on evidence available with him. He was also investigating the Income Tax cases in the 2G scam, and failed to take any action unlike the CBI or the ED which filed several chargesheets. The said facts ought to have been examined by the Union of India before making the appointment. Mr. Bhasin was appointed as the VC on 11.06.2015 for a period of four years. He had been serving as the CMD of the Indian Bank from 01.04.2010, which is a public sector bank with its headquarters in Chennai, Tamil Nadu. He was indicted in a detailed inquiry by the Central Vigilance Commission in 2013 for forging and tampering with appraisal report of the then General Manager of the Indian Bank, which is a criminal offence. The petitioners allege that the Union Government has appointed a person who himself has been severely indicted for serious criminal conduct by the same Commission of which he is now a part. “Thus, by no stretch of imagination he can be said to have impeccable integrity or unblemished record as is required as per law. Hence his appointment is liable to be quashed,”says the petition. The petitioners have alleged non-transparency in the appointment of the CVC and VC and have prayed for setting aside the appointments. Earlier in 2004, a Writ Petition was filed by Centre for Integrity, Governance & Training in Vigilance Administration before the Supreme Court, seeking proper transparency and eligibility for the appointment of CVC and VCs. Adjudicating on the petition, the Court, through an order dated 17.12.2014 directed the Union of India to proceed with the selection process but stayed the appointment of CVC and VCs without the leave of the Court. However, it lifted the stay on May 13, 2015, in view of the urgency and importance of the appointments, after it was assured by the Attorney General that the Government would appoint the best person after following a credible and transparent selection process.